CARLSBAD, Calif. — Andrew Friedman knew he was getting a player who didn’t hustle all the time when he traded for four-time All-Star Manny Machado. Still, Friedman, the Los Angeles Dodgers‘ president of baseball operations, was willing to acquire him because his good points outweighed the bad. 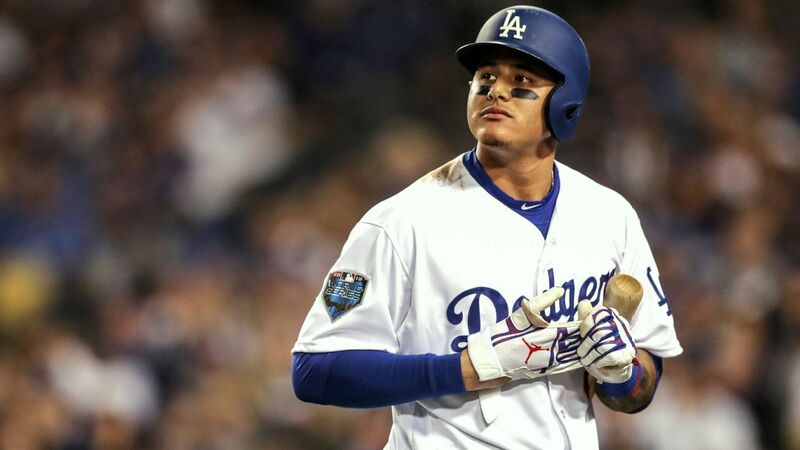 Machado, 26, is one of the top two free agents on the market along with outfielder Bryce Harper after a three-plus-month stay with the Dodgers. Machado was acquired from the Orioles in mid-July and took over the shortstop job that opened when Corey Seager tore an elbow ligament in late April that required season-ending surgery. Machado hit .273 with 13 homers and 42 RBIs in 66 games, and the Dodgers won their second straight NL pennant. He hit .227 with three homers and 12 RBIs in 16 postseason games, including .182 (4-for-22) with three RBIs in the five-game World Series loss to Boston. Machado stood at home plate watching a fly ball in Game 3 that bounced off a wall and became a 368-foot single, spiked Boston first baseman Steve Pearce in Game 4 and fell to a knee striking out against Chris Sale in Game 5, ending the Dodgers’ second straight World Series loss. Friedman said he is confident the Dodgers will reach a new agreement with Dave Roberts, their manager for the past three seasons. “The conversations have been pleasant and they have been ongoing,” Friedman said.